Sony’s high definition Bravia LCD TV advertisement used a GLASGOW tower block to fire paint fireworks for a new TV advert. In a project that has never been done before the empty multi-story high rise in Queen’s Court, Toryglen, has had thousands of gallons of paint blasted across it by fireworks and explosives as part of a multi-million pound campaign for Sony’s high definition Bravia LCD TV. The last Bravia television advert featured 250,000 coloured balls bouncing down a street in San Francisco. 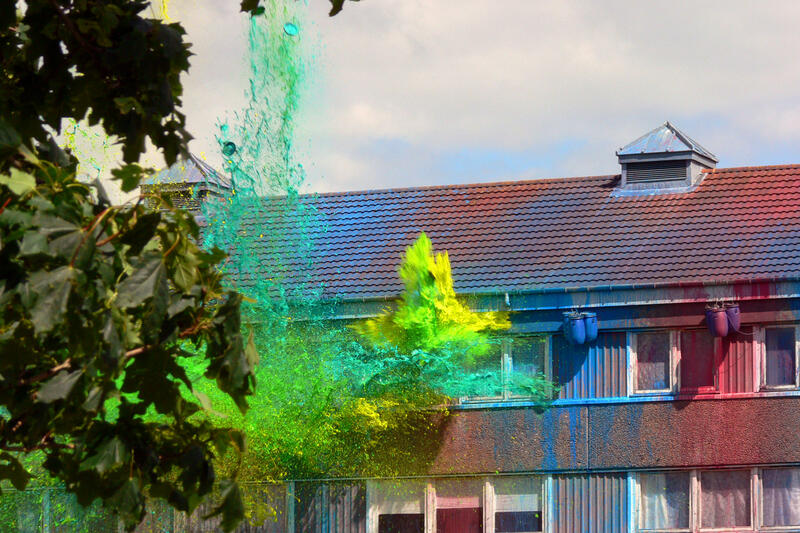 They shot paint onto the tower block in time to the sound track. The high-rise was rigged for the blasts and surrounding houses were covered with huge tarpaulins. Phoenix Fireworks were chosen for their expertise in firing large scale effects, exactly on time and with no second takes. Top director Jonathan Glazer is the director of the advert contracted by Academy Films. 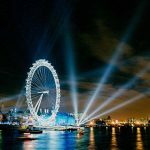 Local company Mallinson TV Productions is working closely with London agency Fallon on the campaign. 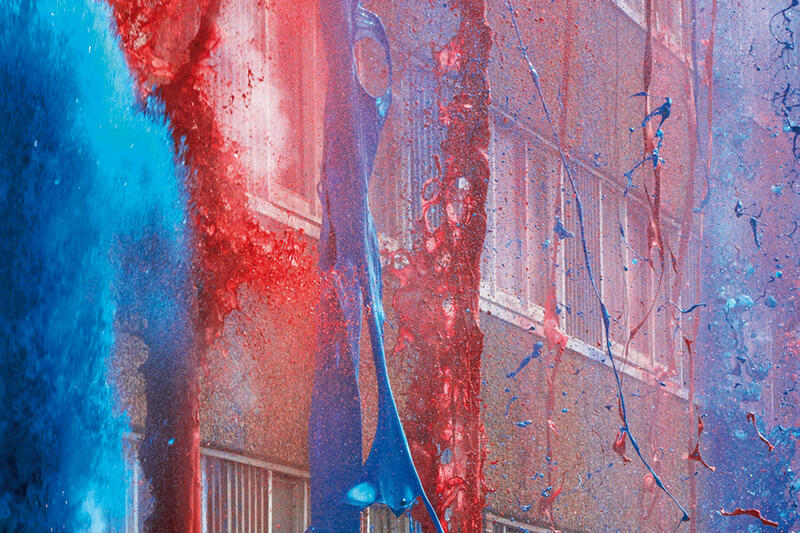 Asylum Models and Effects were responsible for all the styles of paint works sorting out the 70 tons of colour and had done three months of testing prior to the shoot in Glasgow employing Special Effects UK to look after the explosives. Ironically, anyone hoping to see the site where the advert was filmed will be disappointed as the building was demolished before the advert was shown. We are thrilled that Sony has chosen Glasgow to shoot its latest Bravia advert. They’ve treated people really well and almost everybody is really excited about it. It’s nice to see lots of friendly faces around and they’ve promised to clear up afterwards. Glasgow was selected after an international search for a location. 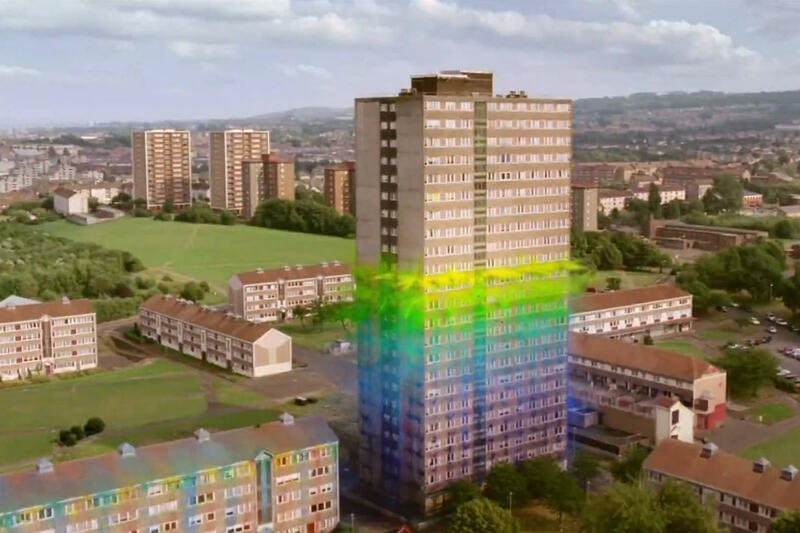 The filmmakers, led by award-winning director Glazer, were looking for a giant building they could use to demonstrate the realistic colours displayed on the TV. A spokeswoman for the electronics giant said: “We needed a building with a lot of space and greenery around it and not just any old building. When we considered Glasgow the decision came really quickly because we are such a well developed creative industry that is really geared up to helping film-makers. We spend our life planning and executing large firework displays with split second timing. You don’t get a second take when you are firing a New Years eve show, and that experience has done us proud in this film shoot.